This review was originally going to start with a look back over Pinball Arcade’s history on other formats and Farsight Studios’ long and eventful two-year battle to get it released on Steam, but even as a passive observer of that process I could write a whole book that reads like a Greek tragedy. Suffice to say that now that it has been released the reason why it had such a hard time is abundantly clear: Farsight aren’t very good at making videogames, it shows in the final product, and I imagine that until the restrictions on Greenlight games were suddenly relaxed a few months ago they were having trouble meeting Steam’s terms and conditions for integrating their table DLC into Steam itself. Everything that isn’t the actual tables looks like it’s been cobbled together on a shoestring budget, from the menus to the UI to the table browsing to the payment system for actually buying the things. 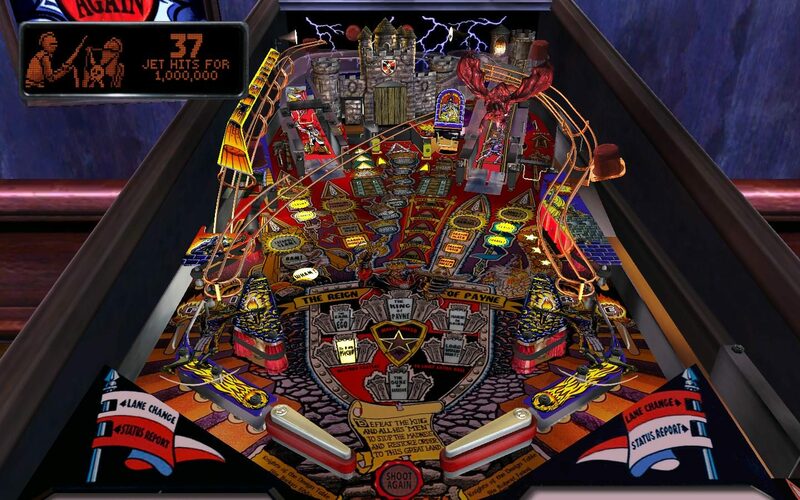 In terms of attractiveness and ease of use Pinball Arcade is an abject failure. 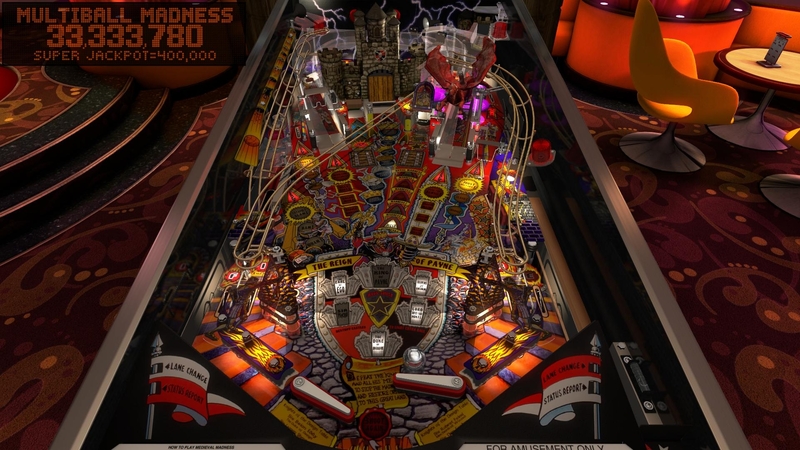 Fortunately for Pinball Arcade, however, it turns out that what Farsight are good at is making computer simulations of pinball tables. I don’t expect virtual pinball tables to be any more than acceptable-looking, and since they’re controlled by all of three buttons (plus nudging) the ease of use thing isn’t an issue either. And in terms of actually playing the thing, well, as far as I’m concerned Pinball Arcade blows Pinball FX 2 out of the water.